Tales of an Inconsistent Disciplinarian - I'm not really sure what I think (totally) about this article. I get the main point that we're all inconsistent in our own unique ways. 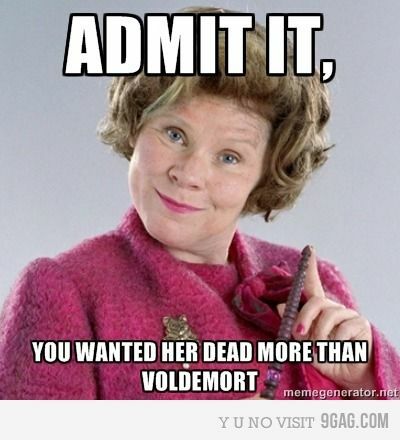 This is true. If the point being made is to recognize that no parent is perfect then I can do nothing but agree. Is the point to spread compassion towards lazy parenting who have sort of given up on the idea of teaching their children behave? Then I'm not so fond. I read this article through twice and I'm not entirely sure what the main idea behind it is. We are each of us imperfect and we're raising imperfect people. We are each of us in need of a perfect God to get through this parenting journey. At the same time I am growing increasing alarmed at the rate of parents who have just given up (and you can tell that they have and yes, they have). Anyway. It's an interesting article for conversation, I thought. Note, this article was published on MOPS which I am not a member of. A friend posted it on FB and I clicked to read. I Don't Want Your Good Vibes. I Want Prayer. - An article by Megan Hill published on her-meneutics. All I can say to this article is a loud, "AMEN!" Self Censorship Better Than Book Banning - by Melissa Taylor of Imagination Soup. And again, "Amen!" I think this is a fantastic article for Christian parents (and grandparents) to read and think about. Then there are things which I saw around the web and liked. Enjoy! Yes. 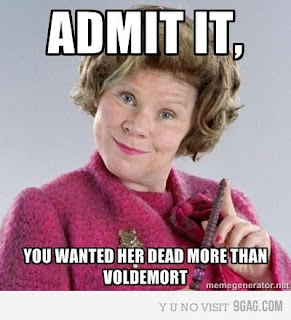 I confess to this. It's true. SO curious about this smoothie recipe which I found on Pinterest! I ordered some rose water so I can try it! 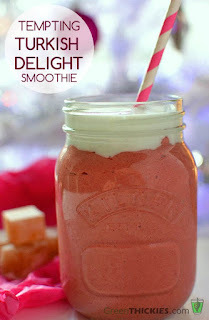 Recipe for Tempting Turkish Delight Smoothie from Green Thickies. I must leave you in song, of course. In the meantime, I've hit "repeat" on this song at least a 100 times. I agree that good vibes and happy thoughts cannot take the place of prayer. And that while we all have inconsistencies and make mistakes in parenting, we can't just give up. I see a similar phenomenon along the lines that "none of us is perfect and we need to be honest about our messy lives," which in one sense is true, but then some tend to just wallow in messiness, which I think is going too far. I don't know who the person is in the Voldemort photo. I agree generally with the self-censorship article, but there are still things I would mark as a definite NO for myself and my kids (when they were younger). Things can't be unseen once seen, and some thoughts planted cause insidious damage and problems even when corrected with truth. While I completely agree with the idea of self-censorship instead of banning, if you look at the stories behind banned book week, many of them include people who objected to their child and their child only being told to read something for a specific class. It's one reason why I object to the week so much. It really comes across more as "Shut up and go away" than celebrating the freedom to read, which I obviously fully support.